So you want to know how to start a blog quickly? Many people think that starting a blog is difficult, and sure – it can appear a formidable task – but not if you follow the steps in a logical fashion. Break up the process into a number of steps and carry them out in the right order, then creating a blog will become not such an intimidating task as you feared it would be. That’s no good – without an objective in mind you will likely fail! You must have a purpose – a reason for writing your blog or you will soon lose interest in it. Why do you want a blog? Are you using it to provide friends and family a means of maintaining communication by reading your daily diary and making comments? Do you have a hobby you want to blog about: cricket, fishing, collecting antiques or memorabilia, or even just writing about your daily life. Our guide applies to all of these needs – just read it and follow it and you can have a blog set up in under 15 minutes. Many say you must have a passion for your subject in order to blog about it. You must have is a commitment to writing about your subject day after day, and to persevere irrespective of your initial results. It takes time to build a good regular readership so do not expect immediate results. Your commitment will provide these, and we will show you how to make this easier. Here are the steps involved in starting your first blog. Once you have successfully created your first blog, you will able to set up as many blogs as you like very quickly. Get a good domain name. Set up and design your blog to suit your needs. 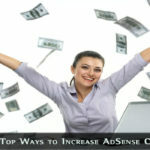 This step is relevant if want to monetize your blog – use it to make money. If you follow the steps we provide you with then you will end up with a functional blog – we will then show you how to make it a spectacular blog. So here goes with the first decision you have to make before we begin with the technical stuff (this is much easier than you might believe). It is important to decide on a good name for your blog. It is not essential that its name reflects its purpose or its content, but it helps. However, keyword-based names can have a negative effect or a positive depending on the topic of your blog. If you are blogging about car insurance, then a site titled A1CarInsurance.com will look too much like an advert, and people may avoid it – while GreatInsuranceTips.info might attract interest. If you are blogging about rescue cats, then rescuecats.info might also attract interest – it’s all in how the public perceives your domain name. You can start blogging without it costing you a single cent. Many people use free blogging platforms such as Blogger and WordPress.com, but find they have to change platforms if they want total control over their site. 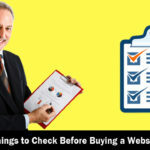 Most free blogging sites insist on their own adverts appearing on your blog. You will also be limited in the plugins and apps you can use on your blog – if you are allowed any! Then you have the security issue. Paid services generally offer a great deal more security than their free ‘equivalents.’ There are many other reasons why you should have your blog hosted professionally. Many of these will be presented in the Guide. You need no knowledge of coding to create a beautiful blog or even a fully-functional website that does just what you want it to do. We will explain every step required to set up your WordPress blog correctly. We will guide you step-by-step along the path to a very professional-looking blog that will impress anybody visiting it. You can publish your posts immediately you have written them, or write several and schedule them for publication at selected times and dates. Let’s say you are going on vacation: you can write a few posts in advance and have them published while you are away. There are many ways in which you can use a blog to make money. 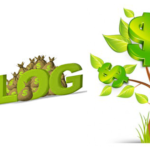 In this final section of our guide “How to Start a Blog Quickly” we shall cover the most popular and realistic ways of making money online using a blog. Follow the links above or the free beginners guide sequence provided below to start a blog quickly and make contact with potential readers today! You do not need to possess any technical skills to start your own blog – just to be able to read and follow the instructions that we will give you. These are the same steps we used to create this blog you are reading now. Awesome tutorials like this are a lifesaver today! When I started blogging (about 8 years ago), there was simply no guide around. I tell you, I had to figure out everything myself – and after hitting too many brick walls, I simply gave up! The situation is clearly not so now again. Thanks for making sure that beginners see the way and avoid the darkness we all had to pass through in order to see the light.